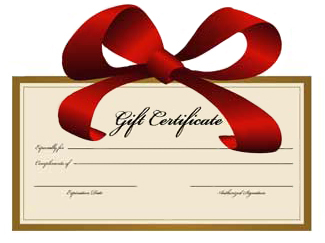 This is a Gold Rush Trading Post Gift Certificate. It is available in 6 different denominations and will be good on any order placed on www.GoldRushTradingPost.com. Choose the dollar amount from the drop down menu. You will receive a "code" when you purchase this certificate that the recipient will need to enter in the coupon code box during the checkout process when they place their order. This coupon is good for 1 year from date of purchase.